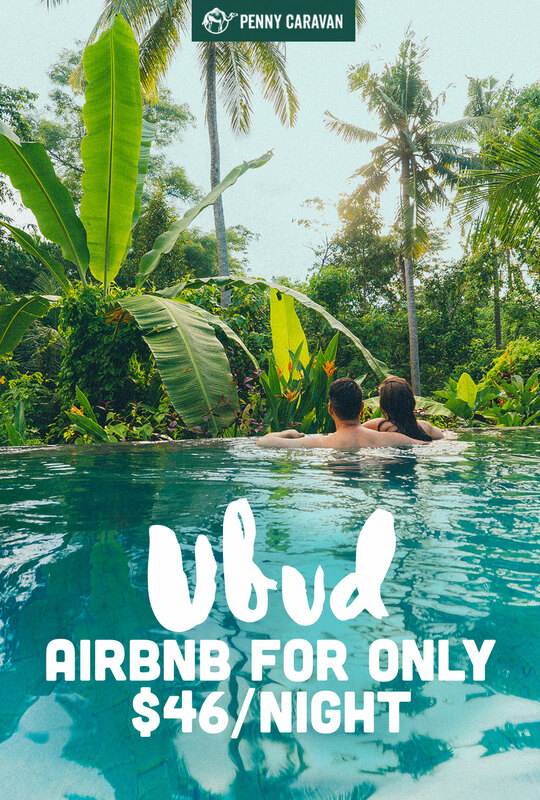 There’s no shortage of delightfully affordable Airbnbs around the town of Ubud in Bali. After combing through all the ones that were available for our dates, we settled on this adorable villa just outside of Ubud. Best of all, it only cost $46/night! Boasting a gorgeous infinity pool and privacy amidst the jungle, it looked like the perfect base for exploring Ubud and the surrounding area. The rate for the Airbnb was $46/night before Airbnb’s fees. The total cost of the booking was $222 for four nights. 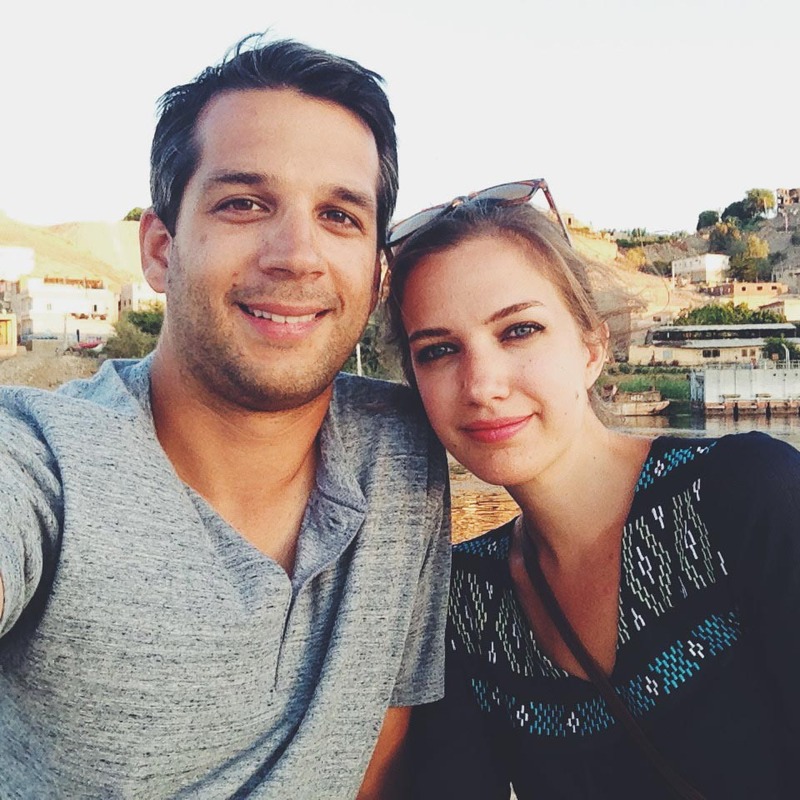 We had $70 in Airbnb credit so that brought the cost of our stay down to $152. After booking we were contacted by the host with instructions on how to find the villa as well as tips on which restaurants to try and how to get around Ubud. The host, Komang, also offered to arrange any services we needed from airport transfers to day trips. The villa is part of a small compound outside of Ubud, near the Penestanan village which is within walking distance. Ubud itself is about a 45 minute walk. Having a plan on how to get to and from town is advisable. Komang or her staff can arrange rental of a bike or scooter so you can explore on your own, or you can get to know a local driver and call them for pickups. Taking a taxi back to the room is easy enough; just have them drop you off at Cantika Zest Spa or Umma Mandi Hotel which are adjacent to the villa. 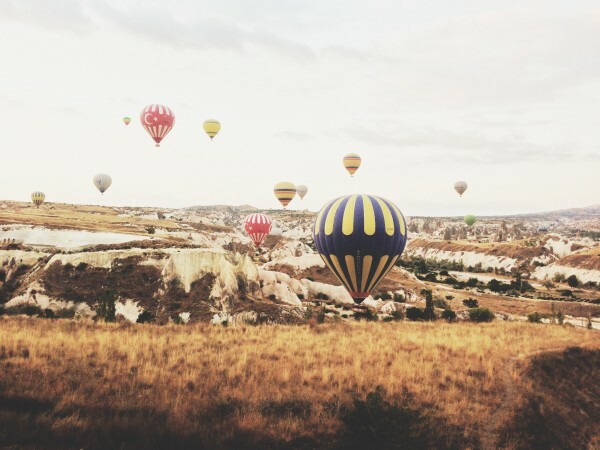 Uber is also an option, but it’s technically illegal in Bali and finding a driver can be problematic. We had some success using it, but also a few times where drivers accepted our request and never showed up. So while it is a little distance from the action in Ubud, you will be rewarded with a peaceful stay away from the hustle and bustle. The complex contains a half-dozen or more villas, most of which seem to be private residences. Komang’s villa is at the very back of the compound, behind its own wall along with another villa. Half of the year the other villa is available for rent as well, but while we were there it was occupied by a long term resident, Nita. Nita was our contact person and helped arrange our pickup to get to the villa as well as finding a driver for a day to take us to some of the temples and attractions around Ubud. The entrance to the villa is next to Cantika Zest Spa. A long drive way leads to the villa which is away from road traffic and noise. The room was bright and airy with lots of windows letting in light from the outside. The bed was king-sized, with a fairly firm mattress, but overall we found it comfortable and suitable. Over the bed is mosquito netting to keep the pesky little buggers out. Inside the main room was a sitting area, a lockable armoire and some built in shelving as well as an A/C unit. The A/C is our only real complaint; it didn’t work very well while we were there. It was borderline uncomfortable, though it worked well enough to not make the room stifling. The room also included free wi-fi internet. While it worked fairly reliably, it wasn’t very fast. It’s good enough for email and social media checking, but video streaming would have been too much. The bathroom was an open-air concept like many Balinese villas. The bathroom is covered except by the shower with the sky open above it. Adjacent to the shower is an enclave with the toilet. The sink is rather small overall, wide but shallow. On the front patio is another sitting area, perfect for enjoying your morning coffee, as long as you’ve already applied your mosquito repellant! The patio looks out toward the pool but the landscaping still offers a measure of privacy. To the left looking out is the kitchen which was fairly well-equipped, making cooking an option to save money versus eating out. We used the kitchen our first night to prepare a small meal that we purchased from the grocery store. Note that the kitchen doesn’t have an oven or a microwave so you’re limited to what can be prepared on a stovetop. There is also a refrigerator and drinking water dispenser. When searching for where to stay, the beautiful infinity pool of this villa stood out the most. Many others include similar pools, but the view of this one overlooking the jungle was hard to top. Ultimately that’s what tilted us in this villa’s favor. And it didn’t disappoint. As mentioned previously the villa is part of a larger complex, but the entire compound is well-secluded away from the main road. There is a landscaped path leading through the grounds all the way to the back of the property where the villa is located. Overall we enjoyed our stay a lot. While it was a little away from the town we were glad to be in a more secluded area away from the noise and traffic. If you’re looking for a secluded getaway for your trip to Ubud we highly recommend this one, especially for the price. 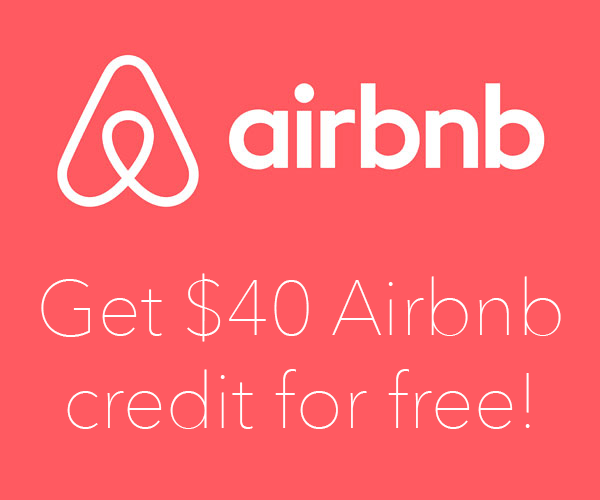 Start planning your Ubud trip with $40 of free Airbnb credit!